According to marketing sources, this news article is generating a veritable honeypot of highly lucrative advertising revenue by mere virtue of the fact that it mentions Apple's new iPad. "Current estimates show that the particular article I am being quoted in at this very moment began to accumulate thousands of dollars in ad-based profits as soon as the words 'new iPad' appeared in the headline," said market analyst Jonathan Bowers, who single-handedly and out of thin air created cold hard cash for a media organization simply by adding that the new Apple iPad will feature a high-definition screen and an improved processor. "Furthermore, any subsequent mention of the new iPad in this article—as well as any mention of the fact that preorders for the device start today—is resulting in increased reader traffic and, thus, increased revenues for your company's ad-based business model." At press time, new iPad, new iPad, new iPad, new iPad, new iPad, new iPad, new iPad, new iPad, new iPad, new iPad. 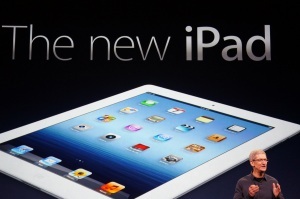 Why isnt the new ipad called ipad3? One of the big mysteries ahead of Wednesday’s Apple event was a simple question: What is the new iPad going to be called? The tech press had long settled on iPad 3, but some outlets had recently reported that the product name would actually be iPad HD, in reference to the new high-resolution Retina display. Apparently, Apple wasn’t having any of that. More than an hour into the show, Apple CEO Tim Cook finally revealed that the new iPad is called just that: the new iPad. It seems like an odd choice at first sight, especially in light of the fact that Apple will continue to sell the iPad 2 for $399. However, the new name signals something much more profound than just a new product generation. 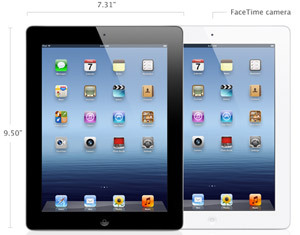 Does the iPad 3 really have a "retinal display"? The new iPad is supposed to have pixels so small your eye cannot resolve then, what Apple calls a "retinal display". I did the math, and find that for normal use and normal eyes, that claim is... true! But there are some caveats, and c'mon. You know you want to see the math. Great name for the Ipad, Ipad!